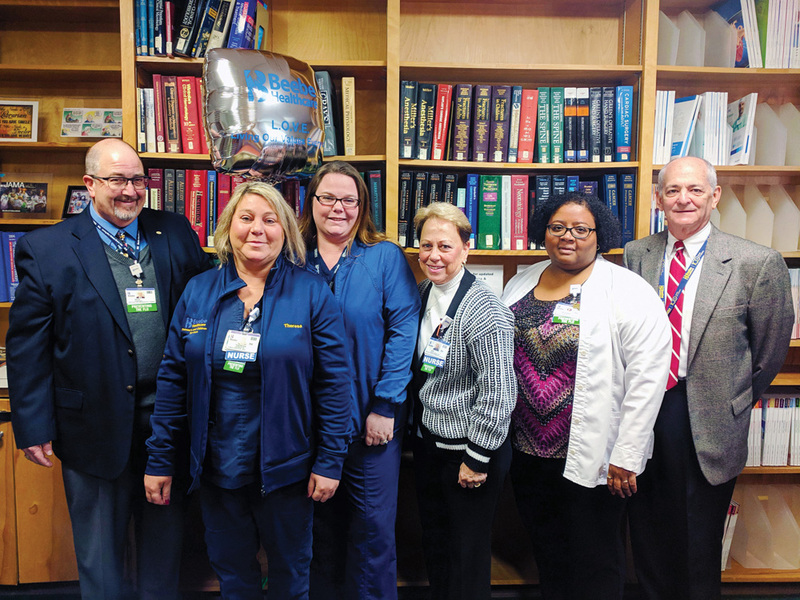 Clinical Educator Theresa Crowson, second from left, is the recipient of Beebe Healthcare’s December 2018 LOVE Letter award. Also pictured, from left, are: Chief Operating Officer Rick Schaffner; clinical educator Laura Smith,; Jan Gibson-Gerrity, director of clinical informatics; Devona Fields, manager of clinical professional development; and Jeffrey M. Fried, Beebe Healthcare president and CEO. Beebe representatives said Crowson was recognized for going out of her way to help a guest who was using a walker and looking for the cafeteria. “Theresa demonstrates many of the Beebe values, including acting with passion and love for others to make a difference and building trusting relationships with compassion and kindness. Great job, Theresa!” Beebe representatives said. Beebe Healthcare’s LOVE Letter recognition program is similar to an employee-of-the-month program. Team members are encouraged to send LOVE Notes to other team members during the course of the month. A committee then evaluates the LOVE Notes and selects one to receive the monthly LOVE Letter. ∙ A letter to the team member’s director and department recognition. For more information, visit http://www.beebehealthcare.org/our-values.